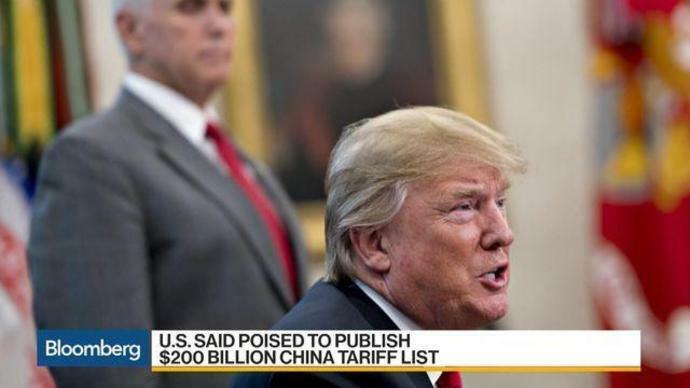 WASHINGTON (AP) -- The Trump administration is readying tariffs on another $200 billion in Chinese imports, ranging from burglar alarms to mackerel, escalating a trade war between the world's two biggest economies. President Donald Trump has threatened to tax as much as $550 billion in Chinese products - an amount that exceeds America's total imports from China last year. "Tonight's announcement appears reckless and is not a targeted approach," Senate Finance Chairman Orrin Hatch, R-Utah, said in a statement. "We cannot turn a blind eye to China's mercantilist trade practices, but this action falls short of a strategy that will give the administration negotiating leverage with China while maintaining the long-term health and prosperity of the American economy."